There are many reasons a couple, group of friends or business associates would want to rent a limo for an evening. A limousine would be ideal for a fancy dinner party, charity event, film festival, anniversary celebration, teen's birthday party or prom and other dances. In addition there are other types of limos that are more appropriate for the business sector such as the Lincoln Town Car that could be rented for an airport pick up and a day around town. When a business wants to pay for their limousine rental, they will either put it on a company credit card or cut a check from the company account. Either way the business chooses to pay for their limo rental, they will have a record and a receipt for their monetary transaction. This is important for tax purposes and sometimes for reimbursement issues. If a company wants to rent a limo such as a Lincoln Town Car for a couple of days, perhaps the big boss is coming to town for meetings or some other important event, then they would most likely need to put down a deposit to hold the vehicle of their choice for that day. There are different price ranges for different vehicles at every company and that is what determines the amount of the down payment in order to hold a specific vehicle for a precise couple of dates. For a couple wanting a limo or two for their wedding date, there is typically a deposit due at the time of signing the contract. This deposit should be no more than 25 percent of the total amount due according to many reputable limo services companies. If a company is trying to charge more than this 25 percent, it may be time to find an alternative limo service for the wedding. There are some limo companies that offer payment plan's to their wedding customers. This could be a weekly or monthly payment in order to payoff the limo service rental bill before the actual date of the wedding arrives. These type of companies would have to have something in writing about a refund in case the wedding didn't happen because a year or more of time can be a long time to some couples. Sometimes last minute arrangements need to be made for a limo for a company or individual. There could be people coming in from out of town unexpectedly and having a limo drive them around instead of them renting a car for a couple days would be a more economical and safer idea. 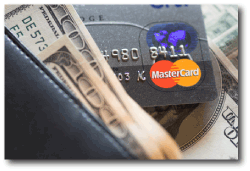 Almost all limo service companies will accept major credit cards as payment in addition to debit cards and checks. However, in this day of technological advancements, an individual must be aware that using a check or debit card will immediately take the money out of their account. There is no longer a couple day waiting period or grace period to get the money to the bank, the transaction happens instantly.